For a while now I’ve been toying around with the idea of using Scrivener as a writing tool. I hadn’t seriously considered using it for blogging, except I was interesting in finding out if it could become a blog-to-book tool. If it could import posts form WordPress, I figured it might be quite useful. I purchased the program, played around with it a bit, and put it away. 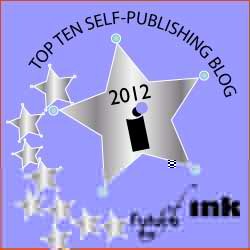 I didn’t find any way to import from a blog, so I figured it wasn’t of much use for book bloggers. 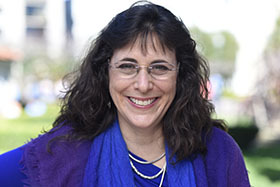 I recently had the opportunity to sit in on three conference sessions taught by Gwen Hernandez, author of Scrivener For Dummies. I then saw a webinar with Joseph Michael, the Scrivener Coach. 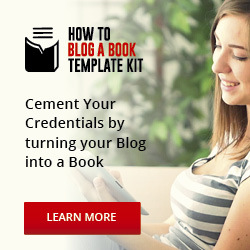 I’m now sold on using Scrivener for blogging, blogging books and writing books. I had a copy of Scrivener for my PC. A few months ago I tried learning the program using the Scrivener Coach’s Learn Scrivener Fast program. I was impressed with Learn Scrivener Fast because it got me up and running fast! I’m not much for manuals and extensive time spent learning any type of program. I learned enough in a few sessions to see the power of Scrivener, but I could find no way to import blog posts. I could see the usefulness of writing or blogging your book in Scrivener, especially since you can then compile your posts into an ebook. After sitting through two of Gwen’s conference sessions, I was so excited that I purchased a second copy of Scrivener (at a $15 discount) for my new Mac. She showed the attendees a huge number of tricks and tips, and we were able to ask her questions. I immediately began writing blog posts in the program and uploaded one of my current manuscripts so I could work on it in Scrivener. I then attended one more of Gwen’s sessions, and I was sold. Between Gwen’s classes and the Scrivener Coach’s program I easily could see the benefits for those wanting to turn blogs into books. Here are three obvious advantages to using Scrivener if you are a blogging a book or a blogger considering booking a blog (repurposing material into a book). 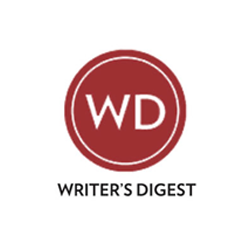 I’ve always advised writers to compose the posts that comprise their blogged books in some other program, such as Word—not in WordPress. If you’ve done this, you easily can import the posts you want to use—or all your posts—into Scrivener. It takes just seconds if you’ve created a one-document manuscript. Once your posts are in Scrivener, the program will search and find posts related to whatever topic you desire. 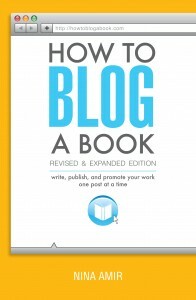 Therefore, if you plan to book a blog, you can create a content plan for your book, and then you can search these existing posts for those that fit your needs. You also can copy links to your existing blog posts into the research folder. From there, you can copy and paste the content into new Scrivener documents. This is a very quick process. Of course, the best process would be to write your posts in Scrivener from the start. Since Scrivener was created to help writers organize their writing, the program offers an effective way to blog your book. Your post-sized chapter bits are easy to move around and to track both as documents and “cards” on your cork board. If you like working with 3” x 5” cards, then you’ll enjoy the cork board. I like mind maps, but this tool provides one more visual option. Each card provides you with information on your existing posts—or even on the posts you plan to write. I have not yet tried the compile function on Scrivener, but as I watched Gwen go through the process and show the end product and Joseph Michael demonstrate this as well on his webinar, I was convinced that it would be simple to produce an ebook using this writing tool. I’ll be testing it out in the near future, and I’ll let you know what I discover. It appears that Scrivener offers bloggers (and writers) an easy and efficient way to go blog-to-book (or manuscript to book) easily, quickly and inexpensively. It saves every few seconds. It opens up to the place you last stopped editing or writing. It tracks the the number of words in your post or your whole project—or both. If you want to learn more about Scrivener, join the Scrivener Coach and me on June 12 at 4 p.m. Pacific Time for a FREE webinar. 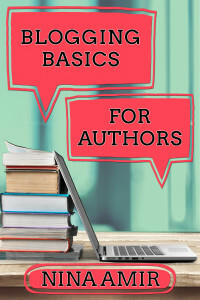 You can register for “How To Use Scrivener To Effortlessly Write, Organize, & Export Your Book Into Various Formats For Printing, Editing, Publishing & More!” by clicking here. 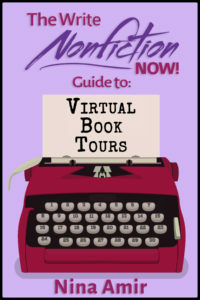 This webinar is hosted by Nonfiction Writer’s University but is open to the public. 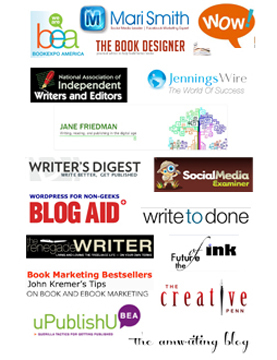 Do you use Scrivener for blogging or for writing your blogged book? If so, tell me why. Not finding templates for it yet, I created two and later released them on that same blog — a project template for managing a single blog and a project template for managing multiple blogs from a single project file. Any plans to release your own structure as a project template for those interested in giving it a try? 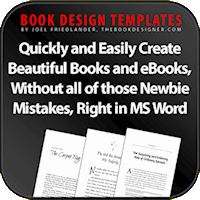 While I now have those and there are plenty of book templates out there, I haven’t seen one specifically for turning that blog content into a book. Jennifer Mattern recently posted..Should Writers be Responsible for a Client’s Bad Business Decisions? Thanks for this, Nina. I’ve been using Scrivener for blogging for a couple of months and think it works pretty well. Your post will help with my second goal of turning my blog into a book – I’m thinking of using tags/categories as project keywords to help organize it. I think using your categories and tags as project keywords is a great idea! Let me know how your project progresses! I’ll look at yours and see what I think. You are welcome to write a post about that topic for me here if you like! I’d love that. 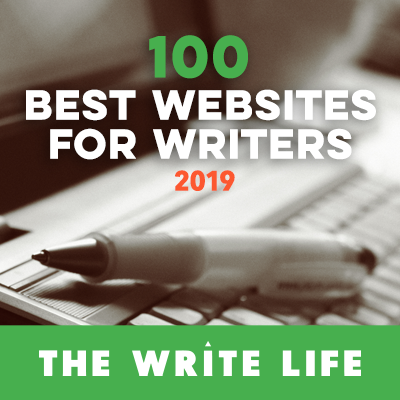 I’m have a few issues that I hope Joseph Michael or Gwen Hernandez will handle for me with Scrivener and blogging, such as losing links when you copy and paste from Scrivener to WordPress. Have you encountered this? Nina, there are two solutions for that problem. 1. Use Multimarkdown and get a WordPress markdown plugin. I have downloaded one but haven’t tried this method myself yet. Like Sharon mentioned you can use Multimarkdown. You don’t even need the markdown plugin for WordPress though (to import from Scrivener to WP — Sharon, do you mean you’d use that to import your existing WP posts to Scrivener instead?). There’s a cheat sheet with some of the most basic blog formatting options in the post linked in my last comment. Sharon, you always have the best tool recommendations. 🙂 Any specific ones for a WordPress markdown plugin? I’d love to look into them and see how it might help or compare to the compile options I’m using now. Retraining myself to do links in Markdown after years of using WLW is proving tricky because it slows me down. It’s just a matter of creating a new habit, I guess. To help, after a bit of research, I decided on WP-Markdown, just because I could then copy and paste straight from Scrivener. As I said, it’s still on my to-do list, but it looked like the best of the available options. I keep multiple monitors on at all times. So I pull out my cheat sheet and keep it on one screen while I write on the other one. I still forget which markdown options need a space before the text and which don’t, and links I sometimes do backwards. So that helps. Most of the time it’s fine. It’s when I take a few days off that I forget things — so basically the start of every week! Great ideas for using Scrivener to organize your blog posts, thanks Nina. Busy bloggers can always use more organizational ideas, and Scrivener is a great tool for that. This plugin also allows you to use markdown not only for your posts—a great time saver—but also in comments, which is a boon to me. Thanks for your comment. I’ve heard about JetPack. Can you explain more about it and what a markdown is? Or would you like to send along a post??? LOL. Excellent post Nina! I’ve been preaching how amazing Scrivener is for blogging to anyone who will listen. I’m glad to see I’m not alone 🙂 The organizational aspects of Scrivener are amazing. I also use it to keep track of all my social media posts, affiliate accounts, and of course all my research! How do you use it to keep track of social media posts and affiliate accounts? I’ve been using Scrivener to write my novel for quite some time. It never occurred to me to use it to write my blog posts. I’ll have it give it a try!! Thanks for the tip! very interesting post. I’m only struggling to find a smart way to import word press posts into scrivener from my existing blog…and an easy way to send the scrivener posts to wordpress…. The only good way to import posts to Scrivener is to drag them from your search engine (where the URL is displayed) into the research function. Then you can copy and paste into a file. Or just copy and paste. Going in the other direction, I write in Markdown language and then compile as Markdown (Html). When you open the file it will show up in your browser. copy and paste into the WP text screen (rather than visual). It shows up all formatted. Or, if you have a markdown plugin, just copy in Scrivener and paste in WP. I can’t help but feel that there has to be an easier way. But I haven’t put any real thought into it before now. With thousands of posts across multiple blogs, I’d love to move the archives into my multi-blog project though. A while back I had my developer-hubby create a custom export plugin for me to get data from WordPress for my SEO audits. Existing plugins didn’t give me the options I wanted. And I know it’s been a while, but if you’re still interested in a guest post like we discussed earlier in this post’s comment thread, let me know. I didn’t have time to work on many last year, but I’m scheduling some now and would be happy to put something together for you in March or April. I can’t remember now what post that was we spoke about, but yes, I’m interested! Remind me and send it along (nina at ninaamir dot com). I’d love to know if anyone has experience using both Scrivener and Vellum? I read a review of Scrivener at https://kindlepreneur.com/scrivener-review/ which definitely made it sound like an attractive tool with a lot of utility. Since then, however, I’ve heard people praise Vellum in terms of its formatting capabilities. Does anyone have any firsthand experience with these tools? I’d love to know what people think is the optimum combination of writing tools to make the best process possible.